CANADIAN ARTISTS! 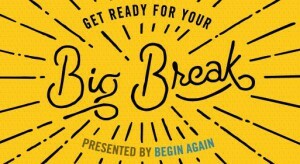 YOUR BIG BREAK IS A VIDEO AWAY! DISTRIBUTION DEAL WORTH UP TO $10,000. TORONTO – JUNE 17 2014 – Entertainment One (eOne) and Begin Again are on the search for Canada’s top undiscovered music talent! Just steps away from their Big Break, Canadian singers and bands can upload their original works to a new YouTube contest (www.youtube.com/beginagainmovie) to be entered for a chance to win a musical recording session at Metalworks Studios and a Digital Distribution opportunity from eOne Music, the #1 independent music distributor in North America, worth up to $10,000! Contestants must rally their friends, fans and followers to vote for their original work to avoid elimination. Only the top four artists make it through to the final round. Canadian Recording Artist and Winner of Canadian Idol Eva Avila is joined by Eric Alper (Director of Media Relations at eOne Music and Host of ThatEricAlper’s Show on SiriusXM), Nathan Quinn (A&R and Label Acquisitions at eOne Music) and Kevin Dietz of Metalworks Studios in judging the four finalists and selecting the winning song. “This inspiring film is set in NYC, and in a lot of ways, YouTube has the same huge caliber of undiscovered talent. 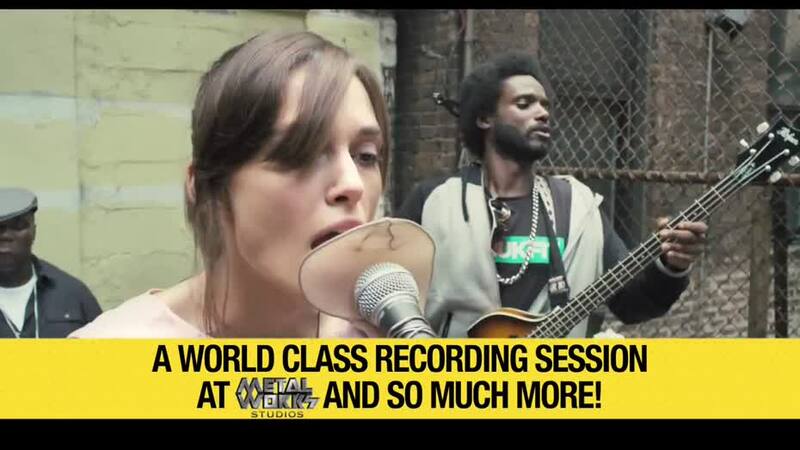 Musicians can approach this like an open mic opportunity and do an original song to get heard by hundreds of thousands of music lovers,” explains Kai Exos, Creative Director at SPOKE and musician in his own right. Begin Again is a soul-stirring comedy about what happens when lost souls meet and make beautiful music together. Gretta (Keira Knightley) and her long-time boyfriend Dave (Adam Levine) are college sweethearts and songwriting partners who decamp for New York when he lands a deal with a major label. But the trappings of his new-found fame soon tempt Dave to stray, and a reeling, lovelorn Gretta is left on her own. Her world takes a turn for the better when Dan (Mark Ruffalo), a disgraced record-label exec, stumbles upon her performing on an East Village stage and is immediately captivated by her raw talent. From this chance encounter emerges an enchanting portrait of a mutually transformative collaboration, set to the soundtrack of a summer in New York City. The campaign, developed by creative agency, SPOKE, lives on YouTube and is powered by a custom YouTube contesting engine. The launch is supported by a heavy Social Media buy on YouTube, Facebook and Twitter as well as in-store POS at HMV, that forms part of eOne’s broader wide-release Media campaign, which also includes broadcast, digital, social, print, radio and Out of Home. 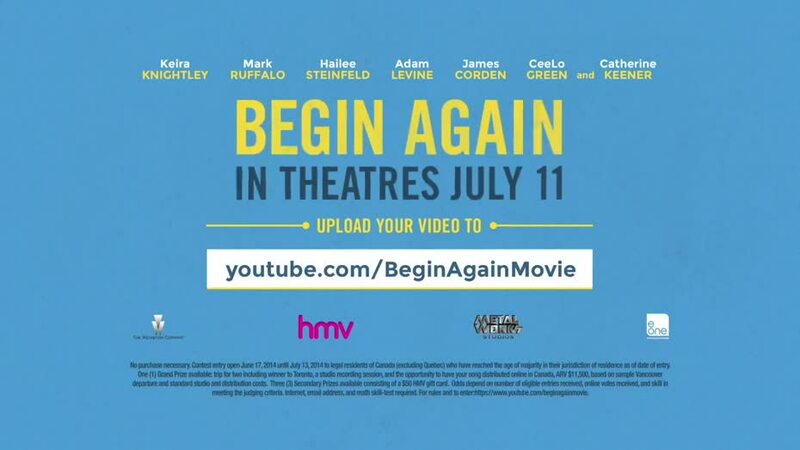 eOne opens Begin Again in theatres across Canada on July 11.